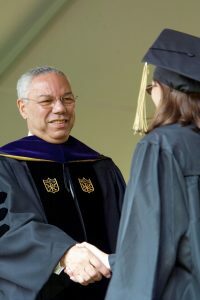 U.S. Secretary of State Colin Powell shakes hands with new graduates. 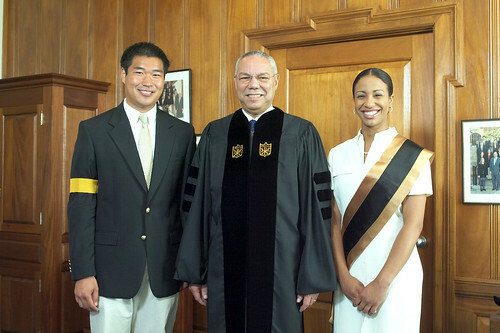 In his first Commencement address as U.S. Secretary of State, Colin Powell told approximately 1,600 graduates on May 17 to “do the right thing,” a concept that applies to their personal lives as well as the challenges facing the country. 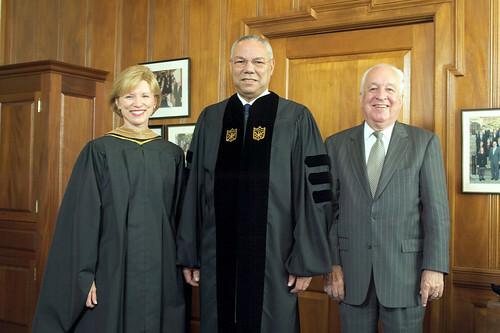 Following his address, Powell received an honorary doctor of laws degree. 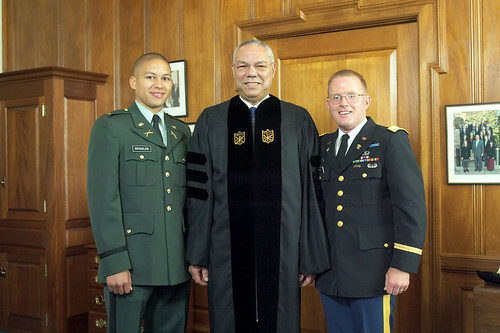 He remained on stage to shake the hand of each undergraduate as they received their diplomas, and he participated in the ROTC commissioning ceremony. 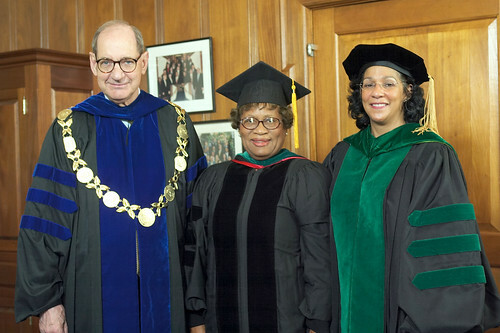 In his remarks to the graduates, President Thomas K. Hearn Jr. spoke of the care and support he had received while recovering from a brain tumor. 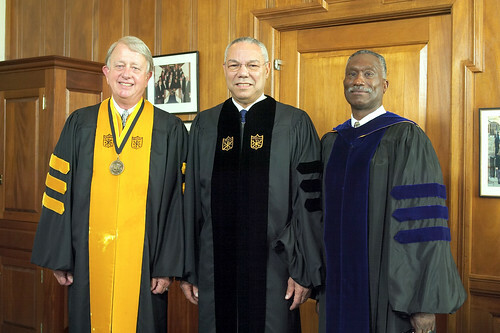 and Lewis Lockwood, the Fanny Peabody Research Professor of Music at Harvard University, honorary doctor of fine arts degree. 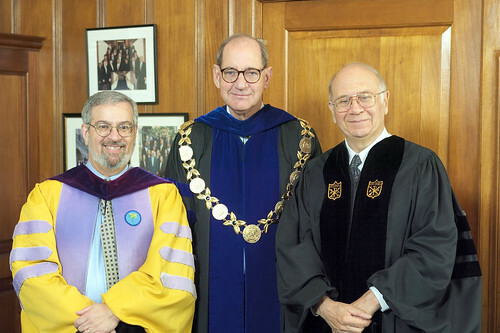 and Philip J. Perricone, professor of sociology. 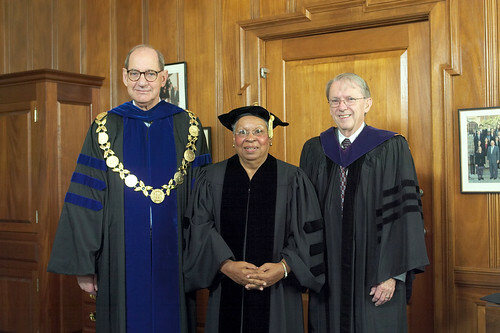 and Lee F. Rogers, professor of radiologic sciences-radiology.